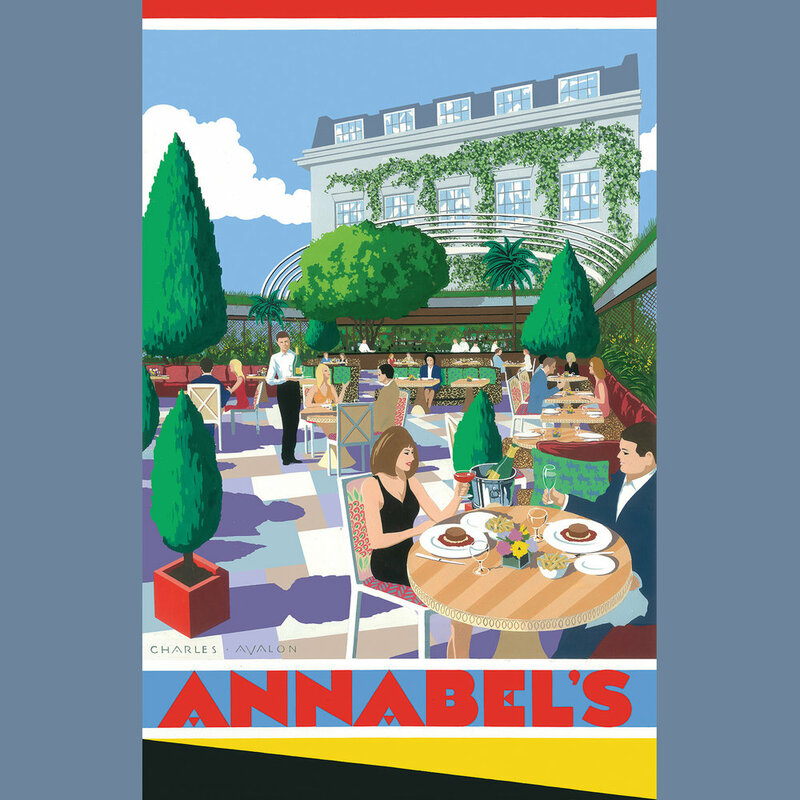 We love this Art-Deco inspired poster of the terrace garden at Annabel’s. A recently commissioned and beautiful artwork by Charles Avalon for Pullman Editions. It really captures the curvilinear form of our design for the glazed sliding canopy. Site works have commenced on this luxurious villa for Richard Caring, located in the heart of Kensington. 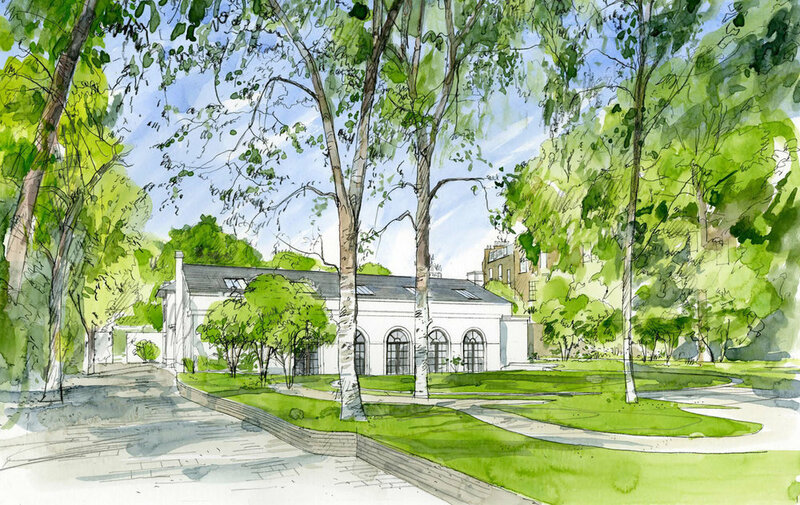 PLA are acting as Lead Designer on this substantial new build development and continue our successful working relationship with the Martin Brudnizki Design Studio. Features include a double basement with swimming pool and an extensive landscaped garden. Good progress on site for our apartment building and housing in Hounslow. On the right of this photo you can see four of the emerging two bed houses that are designed for wheelchair access. Sketch view of the new home zone from the kitchen of one of our single family houses under construction in Hounslow.